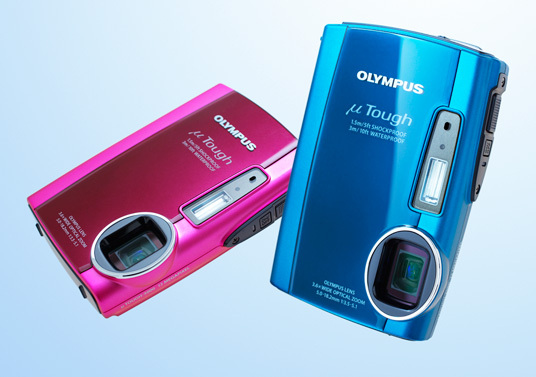 Olympus Imaging Corporation is pleased to announce the µTOUGH-3000 compact digital camera that incorporates all of our most powerful “toughness” features. 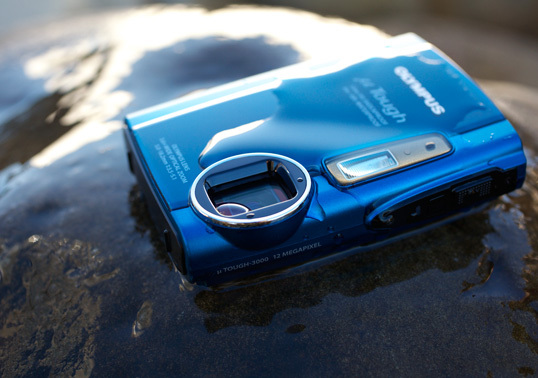 Waterproof*1 to a depth of 3 metres, shockproof*2 against falls from as high as 1.5 metres, and freezeproof*3 at temperatures as low as -10°C, this camera boasts a stylish design, outstanding imaging performance, and a Magic Filter that turns everyday scenes into unique and powerful images. Release is scheduled middle of February 2010. The new µTOUGH-3000 inherits the proven super-tough structure of its predecessor — it’s waterproof*1 to a depth of 3 metres, dustproof*6 to keep out sand and dirt, shockproof*2 against drop impacts from as high as 1.5 metres, and freezeproof*3 at temperatures as low as -10°C. 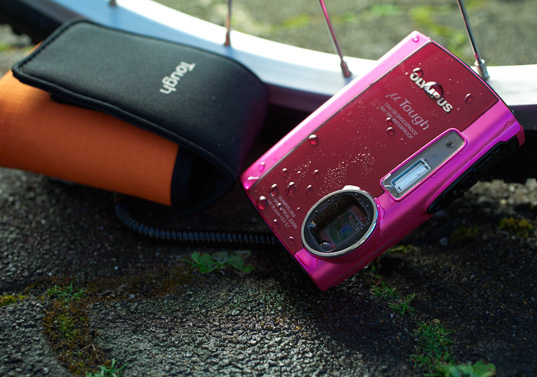 But behind its tough exterior, this new digital camera is surprisingly sophisticated, now offering the outstanding imaging power of a 12-megapixel CCD*7 as well as four Magic Filter effects. 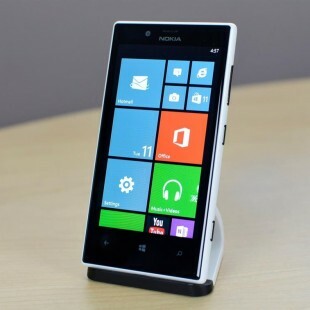 Compatible with the SD memory card, movie recording can be started and stopped at the touch of a button. Made possible by the incorporation of a 1GB memory*4, photo-surfing allows you to download favorite pictures from your PC back to your camera, search desired pictures according to recording information such as “date”, “iAUTO” and “scene mode”, and view them on the camera. It’s just like the camera version of netsurfing. With the provided [ib] software, users can create image collections based on various criteria such as who is in the picture or where it was shot. To help people make the most of the possibilities of digital imaging, Olympus has developed a powerful new software solution called [ib] to connect “images” (pictures and movies) and “humans” based on the concepts of “easy”, “safe” and “fun”. [ib] allows you to organize old pictures, as well as newly recorded pictures. When the camera is connected to a PC for charging the battery, newly recorded pictures are automatically transferred to the PC so you never forget to back up your precious pictures. The software automatically classifies the pictures according to their recording date when uploading to the PC. It is also capable of recognizing the persons shot as subjects and classify the pictures accordingly. In addition, it can assign recording location information for each classified event or each picture. By making classification and organization of multiple pictures simple and easy, [ib] enables you to easily find the pictures you’re looking for. [ib]: The software was named after phrases such as “Image Bridging”, “Image Browsing” and “Image Brightening”. *4 Limits apply to the area available to users. *5 Compatible with Windows OS only. *6 JIS/IEC protection class (IP6X) equivalent (our in-house test condition). *7 Number of effective pixels. *8 The available recording time varies depending on subject motion and shooting environment. *9 The recording time per session is limited to less than 30 minutes. *10 Recording is terminated automatically when the file size reaches 4 GB. *11 Tag information added using “ib” is required. *12 When the HDMI control setting menu is set to ON. *13 Restricted to devices compliant with HDMI 1.3a or later. *14 Image size after compensation is limited to 5 MB. The compensation effect may vary between individuals.